We all have to clean and fix things around our home on a regular basis. You may not have time to do everything on your own. Besides, for certain jobs, it may be better to hire a professional. 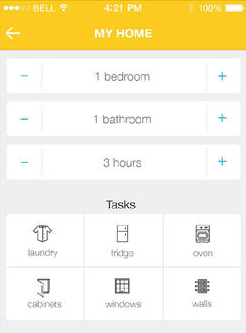 Homejoy Home Cleaning is a decent app that helps you get in touch with cleaning professionals, share what you want them to do, and get the help you need with the help of your iPhone. The app lets you enter your job information and book your appointment on your phone. You can do so 7 days a week. 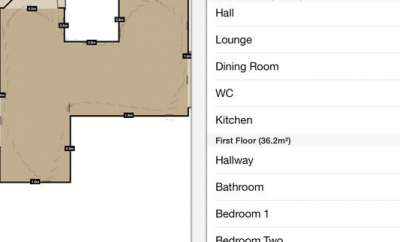 The app allows you to enter details to help the process go as smoothly as possible. You can also manage your appointments right on your phone and even pay for service on it. Cleanings are bonded and insured just in case you are not happy. The user interface is pretty simple and not too confusing. 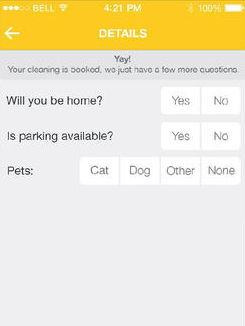 Homejoy Home Cleaning lets you book cleanings on your phone conveniently. There are probably cheaper services around, but if convenience is what you are going for, you may want to give this app a look.